WARRIORS and Bloemfontein Celtic fullback Ronald Pfumbidzai is happy to be back on the pitch after three weeks on the sidelines with an hamstring injury. Pfumbidzai came on as a second half substitute for Celtic in a 1-1 draw against Golden Arrows at the weekend having been away since mid-December last year. The former CAPS United player took to Twitter to express his excitement thanking God for the positive development. “Thank you Almighty, finally fit again,” he tweeted. He began training the first week of January only to break into the team at the weekend. Pfumbidzai’s absence had also worried the Warriors technical team ahead of the crucial Afcon qualifier against Congo-Brazzaville at home in March. Sunday Chidzambwa’s men face the central African side in match they need at least a draw to qualify for the June Afcon finals to be hosted by Egypt. 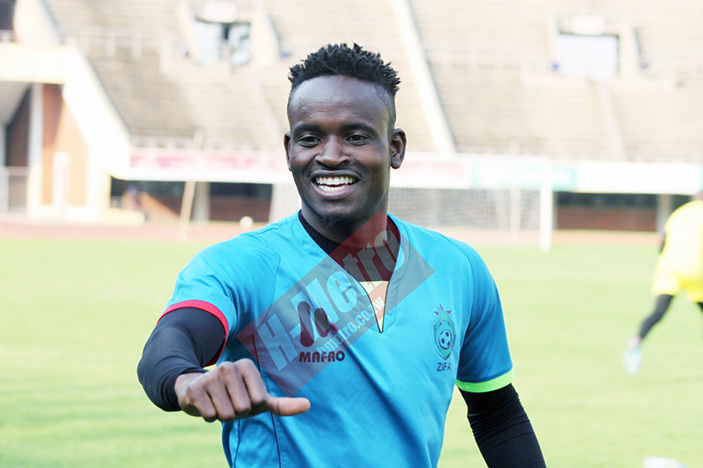 Warriors manager Wellington Mpandare told H-Metro recently that he was worried with players who are out of action – among them Pfumbidzai – ahead of the crunch tie. Mpandare said while they were impressed with the form of other players at their respective clubs, they were mainly worried about players like Pfumbidzai. The Warriors manager was also worried about Captain Knowledge Musona who is also struggling for game time at his Belgian side Anderlecht. And Pfumbidzai’s return to action certainly comes as a good news to Chidzambwa and his new assistants Tonderai Ndiraya and Bongani Mafu. Pfumbidzai bounced back into the Warriors fold in the back-to-back encounters against Democratic Republic of Congo after Devine Lunga picked up an ankle injury. The sure-footed defender was impressive in both legs, scoring in a 2-1 win away in Kinshasa.